Achieving a healthy weight on your own can be extremely challenging. But you can lose weight, have more energy, and feel great with a simple weight-loss program offered by Dr. Linda McGee at Metropolitan Elite Family Practice located in Laurel, Maryland. Call the office or book an appointment online to learn more about the programs that are offered for weight management. Why is it important to achieve a healthy weight? Achieving a healthy weight isn’t just about fitting into the latest fashions or boosting your self-esteem. While these are happy side effects, if you’re overweight or obese, weight loss is important to your health. Losing even 5-10% of your body weight can help improve health markers, such as blood pressure and cholesterol levels. What weight-loss programs are available? Dr. McGee offers a medical weight-loss program focusing on changing habits for life. She offers several plans to help patients reach their desired goals. 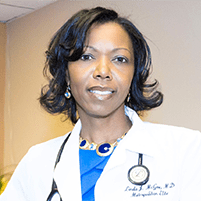 She does a comprehensive physical exam, reviews your medical history, and considers your lifestyle and life constraints when recommending the right plan for you. Because you are under the care of a medical professional, you have better accountability than you would if you were trying to lose weight on your own. And should you run into any side effects or complications along the way, Dr. McGee is available to help. What is IDLife for weight loss? IDLife is a comprehensive weight-loss plan that includes supplements to assist your efforts. Weight loss is best achieved when you reduce your calorie intake (through the foods you choose) and move your body more. The IDLife plan provides appetite-control chews that help fight cravings and help you adhere to your diet. The Lean supplement naturally boosts your metabolism and preserves lean muscle. Both supplements also decrease your sugar cravings. Are appetite suppressants part of the weight-loss plan? In addition to the exercise, behavior, and diet changes Dr. McGee recommends, she may also offer a prescription appetite suppressant. This type of drug makes your brain think you’re not hungry in order to reduce your appetite. It can help you lose weight, especially if your size is seriously affecting your health. 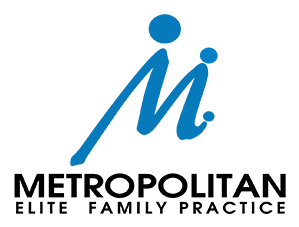 To learn how you can achieve a healthy weight with a medically supervised program, call Metropolitan Elite Family Practice or schedule a consultation using the online tool.